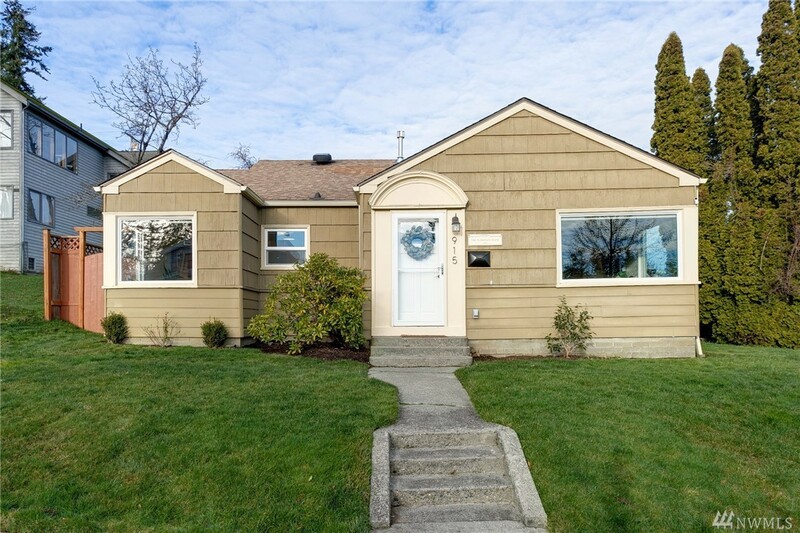 Located in one of Bellingham's historic neighborhoods, this updated, single level home is perched on Sehome Hill. The large windows & open floor plan maximize natural light & provide unique views of the city & Mt Baker. Features include all new wiring sheetrock trim & paint, updated appliances water heater & furnace, custom cabinets, & built-in breakfast nook with storage. Includes fenced backyard, garage w/ shop & work space, plus covered area & deck. Completely move-in ready, A MUST SEE!